OPA Hokkaido Exhibit & "Peace Poles"
For appetizers, pizza buffet, salad and dessert. Drinks are on you. 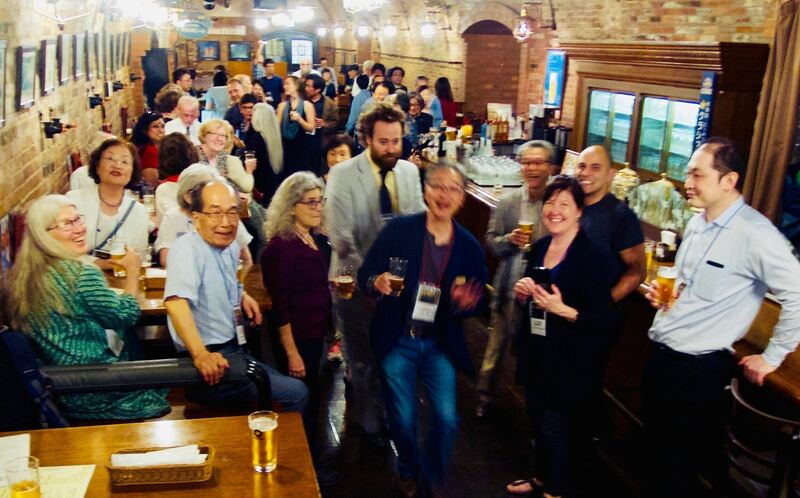 Ceramic Showcase after party with the Hokkaido Pottery Society! Please RSVP by April 19! OPA is sponsoring a party to celebrate Ceramic Showcase participants, past OPA/Hokkaido exhibitors, and our colleagues from Sapporo, who will be exhibiting and demonstrating up at the Portland Japanese Garden. The PJG is graciously co-sponsoring this event. Cost: $12 per person for all you can eat appetizers, pizza buffet, salad and dessert. Drinks are on you. By Trimet go to the NE Grand & Holladay stop. Take the Portland Street Car: B Loop to PSU via the Pearl. Get off at NW 10th and Northrup. Walk to Quimby. Parking available at the Wells Fargo Bank at 17th & Raleigh; also on street parking on Raleigh and Savier. Copyright © 2018 Oregon Potters Association, All rights reserved. Oregon Potters Association" is a 501c3 non-profit organization.